Rachel Garcia, the NCAA Div. I Player of the Year in 2018, makes the Bruins one of the early favorites. Photo: UCLA Softball. In some ways, it seems like last summer’s thrilling Florida State win over Washington in the Women’s College World Series finale was just a few days ago and, in some ways, it seems like it was years ago as we launch our Extra Inning Softball College Preseason Top 25 rankings. How will Florida State will respond as the ACC’s first national championship? Can Oklahoma reload with the loss of two top elite pitchers but the pickups of two talented transfers? Speaking of transfers, what will the Pac-12 be like with so many coming in and out? Will the SEC be able to once again have all its teams be seeded in the playoffs? And how will programs like Texas and Oregon respond with head coaching changes? Check out our picks the teams we think how the firepower to win their conferences and make it deep into the WCWS! The defending champion Noles lost some talent after last season, but return several starters and Women’s College World Series pitching hero Meghan King. The Bruins came up just short of advancing to the WCWS Championship Series last year and return National Player of the Year Rachel Garcia. After being swept by FSU in the Championship Series a year ago, the Huskies return their stellar pitching staff, most of their offense, and will see star catcher Morganne Flores return from injury. Following the departure of “the Paiges”-- Paige Lowary and Paige Parker--the Sooners reloaded via transfer, adding Giselle Juarez and Shannon Saile. In a renovated Katie Seashole Pressly stadium, the Gators have Kelly Barnhill and Amanda Lorenz for one final year, while the addition of catcher Kendyl Lindaman could be a game-changer in the SEC. 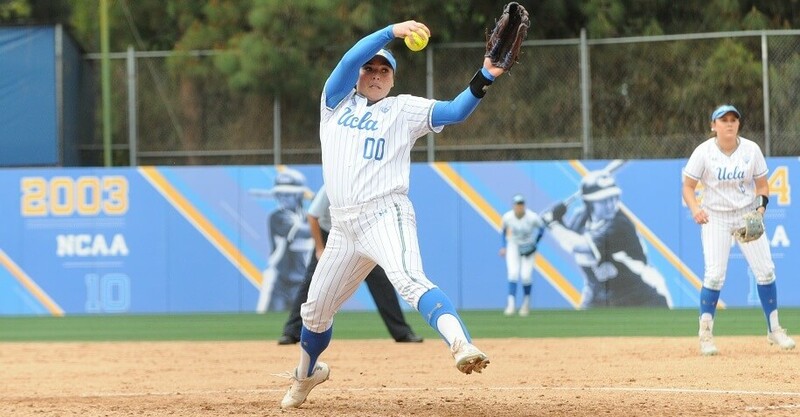 The Bulldogs’ pitching staff could be a three-headed monster in the circle with the right development, with transfer Alley Cutting joining returning underclassmen Mary Wilson Avant and Kylie Bass. Could 2018 be the year the Wildcats return to Oklahoma City? They led the nation with four selections to the Justin’s World of Softball preseason All-American teams. Always one of the nation’s premier programs, the Lady Vols also have one of the nation’s top players in Aubrey Leach. Just a year removed from the best season in program history, the Razorbacks replaced several departed starters with experienced, stellar players, possibly even bettering the team’s chances at Oklahoma City. In the program’s second year under Gerry Glasco, the Cajuns won’t see Megan Kliest until 2020, but Summer Ellyson is a bonafide ace in her own right and the team added a number of quality offensive pieces via transfer. Crucial additions to the Crimson Tide roster include former Hofstra pitcher Sarah Cornell and Virginia Tech transfer Taylor Clark. In the midst of a crowded conference race, the Wildcats will look to avenge their Super Regional failed upset against Oregon in last season’s NCAA tournament. Following a Cindrella-esque season in 2018, the Gamecocks look to prove it was no fluke. They’ve added former Gardner-Webb star slugger, sophomore Katie Prebble. A trio of SEC transfers headlined the Cowgirls’ offseason, but the graduation of Vanessa Shippy is a hole that won’t easily be filled. Pitching is a sizable question for Mickey Dean’s Tigers, including depth in the circle and is Makayla Martin can show herself as a true staff ace. The Longhorns brought in Mike White as head coach, added all-American Miranda Elish in the pitching circle, and added another trio of former Oregon standouts via transfer, as well. Big things are expected in Austin, but an on-field result is needed to even begin to truly judge the Longhorns. Replacing Allie Walljasper and Carley Hoover will be no small task, but the addition of transfer Amanda Sanchez will do great things for the Bayou Bengal offense. Meghan Beaubien had a great freshman season; the Wolverines will look for more of the same from her in year No. 2. The Flames were inches away from a trip to the Super Regionals and return a number of their lineup from a year ago. Ace pitcher Julia DiMartino is crucial. It’s a crowded Big 12 race with the majority of the league in the hunt and the Bears need some stand-out performances from some of their biggest stars to stay in the league’s upper tier. Megan Good’s return spells many good things for the Dukes; Odicci Alexander and Kate Gordon, both coming off all-American campaigns, give the squad a stellar middle of the order. It could be an opportunity for the Buckeyes to step up in B1G play, and the squad should take advantage of Lilli Piper’s final collegiate season. The 49ers have a stellar offensive corps returning, including reigning all-American selection Taylor Rowland; Cielo Meza’s transfer from the circle will be tough to compensate for, however. The ACC is on the rise, and the Fighting Irish need to cement their place as the league’s #2 team, but a simple postseason appearance may not be enough to hold that title. In a deep American Conference, the Cougars return all-American Savannah Heebner and play some top teams during the course of the year.